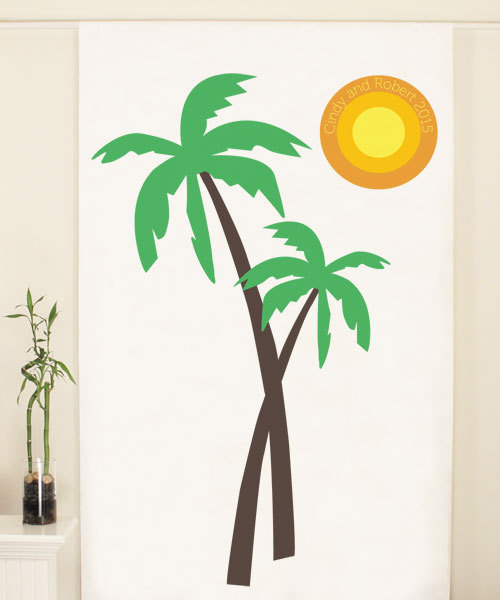 Thinking of a Beach Theme Wedding? Look no further, we've got it covered at Wedding Favours Australia. Beach Theme Wedding is always a popular choice in Australia as we have one of the most beautiful beaches in the world and with the sun shining, it will be an unforgettable day in your life. Having said that, if the weather does not permit.. why not have it indoors. Decorate with a Beach Theme Decor and it will still be a beautiful wedding. Either way, you'll still have a fabulous day. 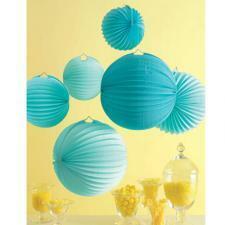 First of all, your decorations.. Other than flowers, you can never go wrong with a Martha Stewart lanterns / pom poms. 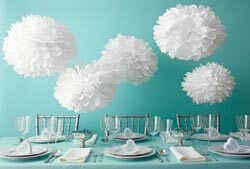 In this case, I would go with a combination of blue and white and there's nothing wrong with using lanterns and pom poms together too if you know how to place / arrange them. 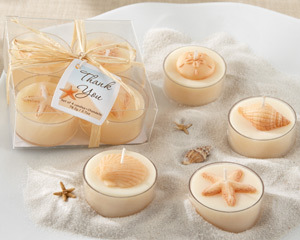 For your guests' tables , you could use our "Seaside" Tea Light Candle Set below, to light up your wedding reception or simply use them as favours for your guests. 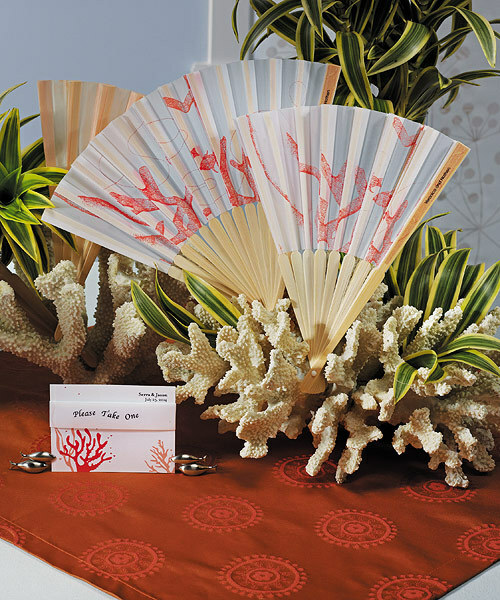 On a hot day, your guests could always use this gorgeous Beach Fan with Delightful Underwater Seascape to cool them down and say thank you to them with this Personalised Square Coral Wedding Favour Tag. Cover yourself and your bridesmaids from the sun with this Paper Parasol with Bamboo Boning. 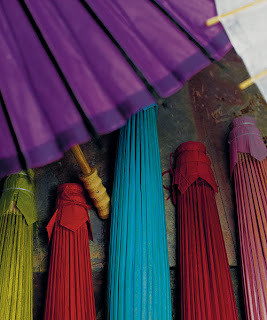 These will make great props for your wedding photos too , so be creative with it. Last but not least, save time and money with our Beach Theme Wedding Package. It contains a Flower Girl Basket, Garter Set, a Ring Pillow, a Guest Book, a Pen Set, Martha Stewart Blue Accordion Lantern, Martha Stewart Doily Lace White Pom Poms. Good luck with your wedding, have a blast and don't let the little things that don't go smoothly ruin your big day !